A large part of the answer is market access. And much of that has to do healthcare budget holders’ fears that a stream of premium-priced new medicines, even when precision-tooled for smaller patient populations, will inflate their costs to unsustainable levels. 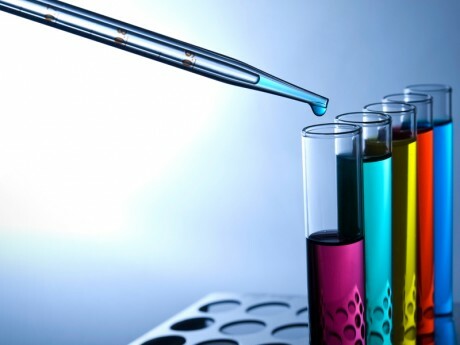 A recent report by the Deloitte Centre for Health Solutions, looking at projected returns from R&D investment among 12 leading research-based pharmaceutical multinationals, found these margins had more than halved from 10.1% in 2010 to 4.2% in 2015. Those figures do reflect the higher cost of developing more complex therapies such as biologics and immunotherapies that expand the boundaries of personalised medicine by identifying and exploiting genomic variations and biological processes. Among Deloitte’s sample of companies, the average development cost for drugs either in Phase III clinical trials or filed for approval had risen from $1.188 billion in 2010 to $1.576 billion in 2015. Over the same period, though, forecast peak sales for the next generation of assets had declined by nearly 50 per cent, from $816 million to $416 million in 2015. This comes against a background of resurgent productivity in pharmaceutical research and development. After years of the industry’s declining fortunes being blamed on uninspiring R&D pipelines overtaken by a rash of major patent expiries, a combination of new science, more tightly focused research and regulatory incentives for orphan-drug development has fired up the R&D engine again. Drug-approval tallies in the key US and European markets bear this out. The US Food and Drug Administration, for example, waved through 45 novel medicines in 2015, surpassing the 18-year approval record it achieved in 2014. Moreover, 16 of the 45 novel products cleared in 2015 were identified as first in class. The European Medicines Agency (EMA) recommended a total of 93 drugs for approval in 2015 (82 in 2014), including 39 new active substances – that is, substances never before authorised in a medicine in the EU, nor related to the chemical structure of any other approved substances. “Many of these medicines represent therapeutic innovations that have the potential to make a difference to people’s lives,” the EMA commented in its annual report. So why are these advances not translating into more bullish sales projections? Certainly there have been some spectacular debuts in recent years, such as the $10.3 billion in sales run up by Gilead Sciences’ hepatitis C therapy Sovaldi (sofosbuvir) in its first year on the market in 2014. But that kind of success, fuelled by pent-up demand and premium pricing, has made healthcare payers nervous. Recently it has prompted Germany, for example, to consider reining in the year’s free pricing granted to new medicines under the country’s early-benefit assessment system. The unavoidable reality is that, as manufacturers seek to offset lower-volume prescribing of targeted medicines, and particularly of the orphan drugs dominating today’s R&D pipelines, by pushing up entry prices, the market-access environment will continue to get tougher. As an IMS report noted last November, the pharmaceutical market of the future will hinge on fundamental tensions between innovation, access and affordability. By 2020, the report suggested, “the role of medicines in global healthcare will have evolved to one which often replaces more complex interventions and in many cases will be accompanied by a societal expectation that medicines can achieve tremendous results, and that whatever the innovation, it should be affordable and accessible to those who need it”. Despite the opportunities afforded by continuing population growth and ageing, large ‘pharmerging’ markets, and scientific advances such precision medicine or gene and cell therapies, IMS Health also saw global expenditure on medicines slowing down over the next five years. By 2020, the report predicted, spending would reach $1.4 trillion, an increase of 29-32% from 2015 compared with 35.4% over the previous five years. As IMS pointed out, the “number of clinically desirable and costly breakthrough drugs, combined with the larger volume-driven costs of existing lower-cost treatment options will strain even the most well-managed budgets”. In the North American and European territories that have traditionally been the mainstay of pharmaceutical revenue growth worldwide, payers increasingly hold the reins to market access. Already under pressure from factors such as population ageing and unhealthy lifestyles, they see the shift in R&D pipelines from primary to secondary/tertiary care, and from large-volume blockbusters to premium-priced specialty medicines, as a budgetary challenge. Even if these new drugs hold the promise of better health outcomes in the longer term, those may be beyond the scope of annual drug budgeting, or lost in configurations where primary and secondary/tertiary care are not sufficiently integrated to recognise whole-system benefits. The onus will be increasingly on companies to demonstrate that new medicines, and in particular specialty medicines with price tags of anything from $100,000 to more than $500,000 per patient per year in some cases, provide broad-ranging sustainable value to healthcare systems. More and more payers will be looking to countries such as the UK, Germany, France or Australia, where health technology assessment and evidence of comparative effectiveness and/or a favourable cost-benefit equation are a perquisite for market entry and uptake. Risk-sharing schemes are already well-established for cancer and some other drugs in Italy. Other European countries such as the UK and Spain, as well as some of the more forward-looking pharmacy benefit managers in the US, have followed suit. In the meantime, payers have responded to recent drug-budget challenges such as the new-wave oral hepatitis C therapies by imposing budget caps and rebates (e.g., France and Spain) or tightening up other market-access requirements. In the US, for example, many payers moved to limit usage of oral hepatitis C therapies to severe cases only; required prior authorisation from specialists; placed the products in high co-insurance speciality tiers; or extracted substantial discounts from manufacturers in exchange for exclusive formulary placement. incentives for generic competition (including the emerging biosimilars market). In short, pharmaceutical marketers will need to do more at either lower cost, or at higher cost with convincing evidence of cost savings and better outcomes down the line, to carve out a competitive position for new medicines emerging from their R&D pipelines. That may include packaging new drugs with value-added services such as patient-support services, real-world evidence or therapy-adherence programmes. In the long term, just raising prices will not be enough to sustain margins and investor interest. Premium pricing of speciality medicines is coming under increasing scrutiny worldwide. Even the US – albeit within the context of a looming presidential campaign – is talking about direct government intervention to curb Medicare drug prices. All of this threatens further to erode ROI on new-product launches. It means companies must deliver the best, safest, most effective and most valuable R&D asset they have. But they must do so in a way that maximizes speed, impact, efficiency and cost-efficiency throughout the launch cycle – all while minimising wasted effort and investment. A big step towards that goal is having in place an effective digital launch-readiness tool that enhances the visibility, transparency and timeliness of your launch plans, enabling cross-company communications and real-time alignment of launch activities. It will ensure that any market-access challenges are quickly and comprehensively anticipated, addressed and absorbed, so that lessons learnt are applied productively from one territory to the next. With the right digital support tools, you can make sure market-access hurdles are holding your competitors back, not your own launch programme. And by optimising the efficiency and impact of that launch programme, you can maintain ROI from new products at realistic levels that will keep R&D ticking over and continue providing incentives for pharma companies and their investors to pursue better health outcomes. TRiBECA® Knowledge is a market leader in smart digital tools that help pharmaceutical companies optimise launch readiness, and deliver compelling product ROI, by enhancing visibility, transparency, communication and collaboration across brands, management layers, business functions and countries worldwide.